Turtleneck sweaters are very tricky to wear especially during fall and winter. 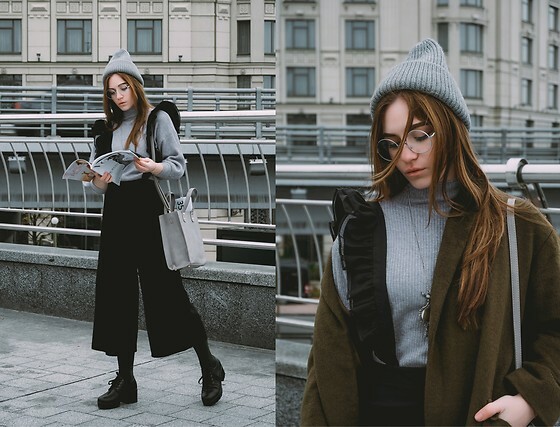 There are a few unflattering turtleneck sweater outfits we’ve seen recently but luckily, this wardrobe-classic will transform any outfit into something cool by pairing it with the right jeans, skirt and even accessories. The turtleneck sweater is fall and winter’s MVP. A simple cold weather staple that has so much versatility. Not sure how to style yours? Read on to find out more about it. Put together a tailored look with your tan turtleneck sweater tucked into a pair of mom jeans then finish off your look with ankle boots. For casual days at the office, tuck your favorite turtleneck sweater into your denim jeans then reach for a pair of high heels. Layer a turtleneck underneath your coat then if you want, you can cinch your waist with a black belt. Not sure what to wear with a bright-colored turtleneck sweater? Simply pair it with neutral-colored pieces to make the sweater look more statement-making. An all-black outfit will seriously give your turtleneck sweater gives the perfect does of edge that it deserves. Challenge your inner fashionista by layering a printed sweater over your turtleneck sweater. It’s pretty easy, especially when you wear it with basic, neutral colors. You can easily wear this outfit to school or the office without looking too over-the-top. With colors such as these, you’ll never go wrong with styling your turtleneck sweater for fall and winter. This outfit gives us a total Olsen Twins vibe. Make sure to pick neutral-colored pieces to achieve a minimalist yet very fashionable lazy-day outfit. For an unstudied vibe, make sure to pair your favorite overalls with a turtleneck sweater. Complete your look with statement-making shoes then you’re already good to go. Keep yourself cozy and warm this fall and winter by wearing a striped turtleneck sweater for added style with your wool coat and knit jogger pants. 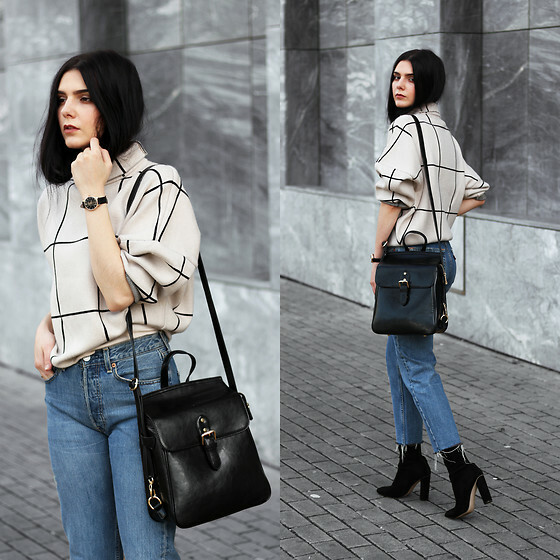 While a monochrome look is anything but boring, adding another statement or printed piece to your ensemble will definitely make you look effortlessly chic. Add a pop of print into your off-duty look with a grid turtleneck sweater or any printed turtleneck sweater that you own. Pair it with your jeans for a laid-back yet stylish getup for the cold day ahead. Yes, the turtleneck sweater is definitely a tricky item to style but this classic piece has become one fashion favorite by so many women. How are you going to style this wardrobe must-have?